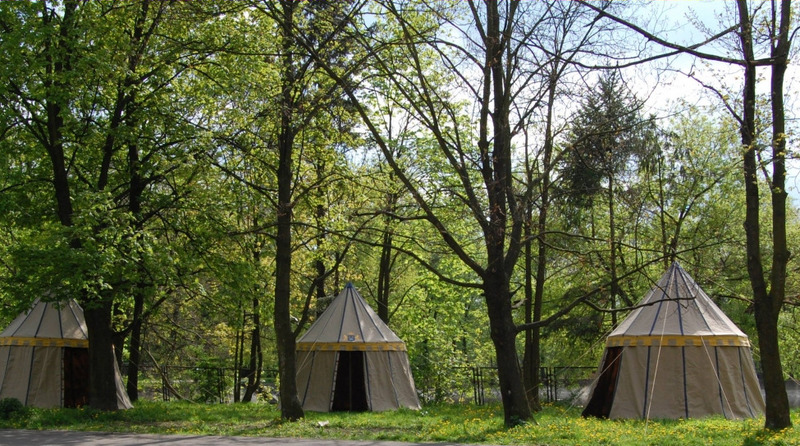 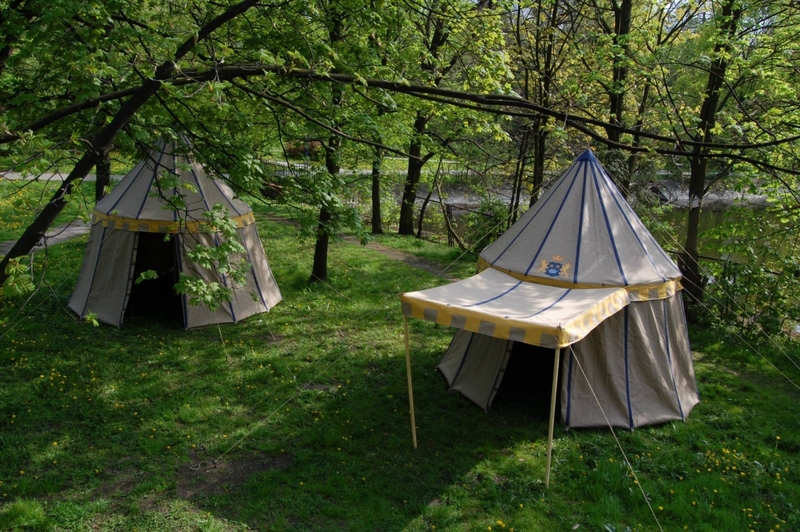 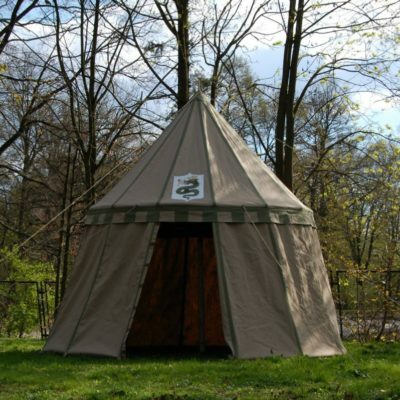 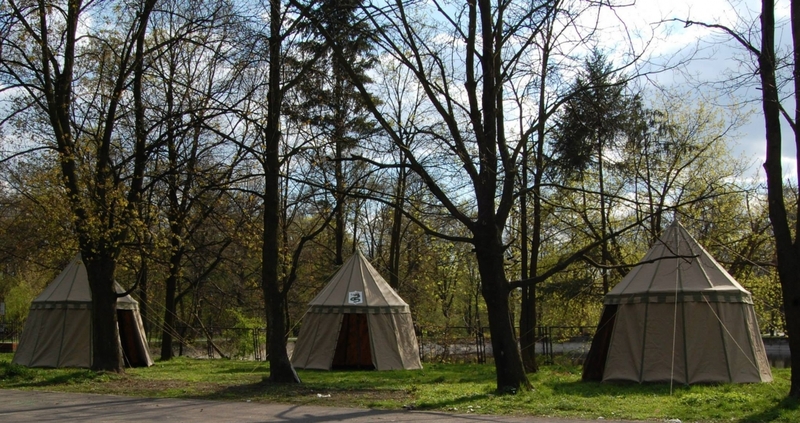 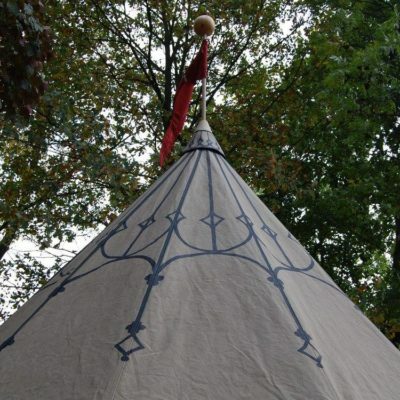 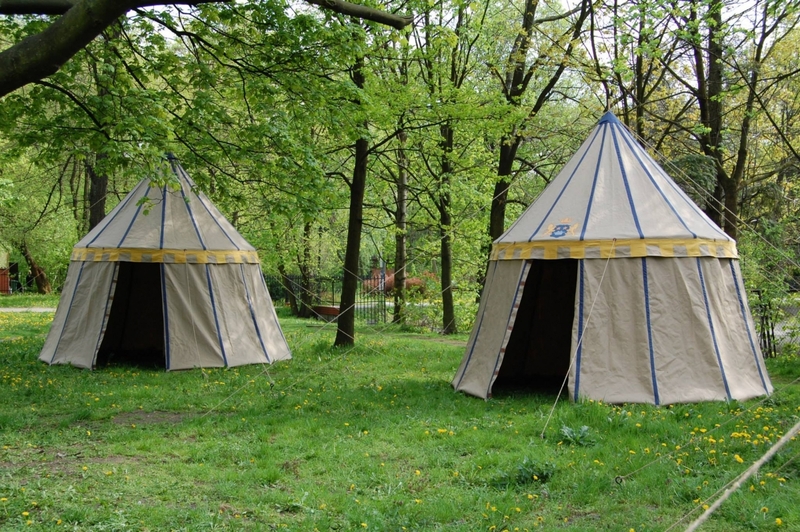 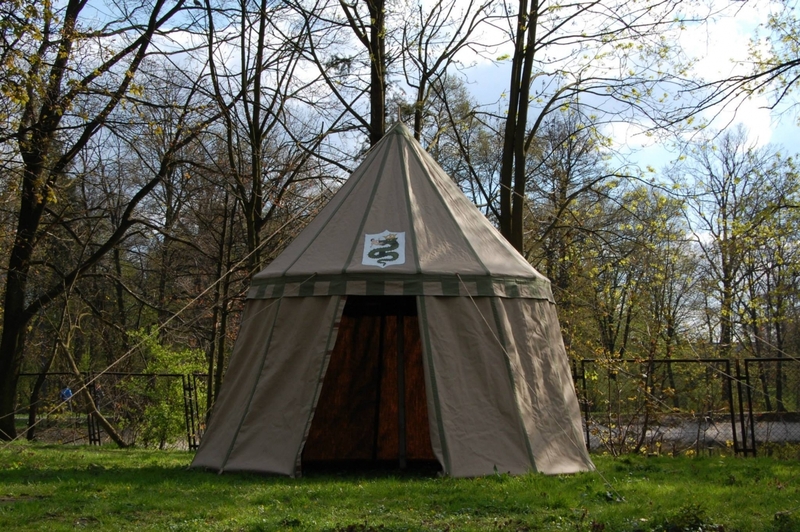 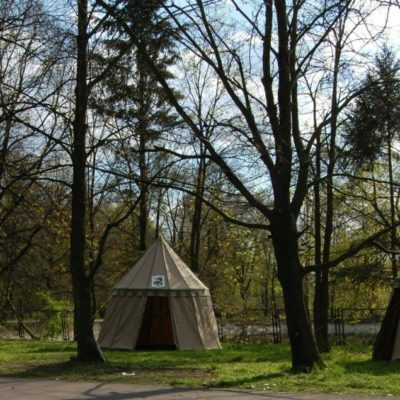 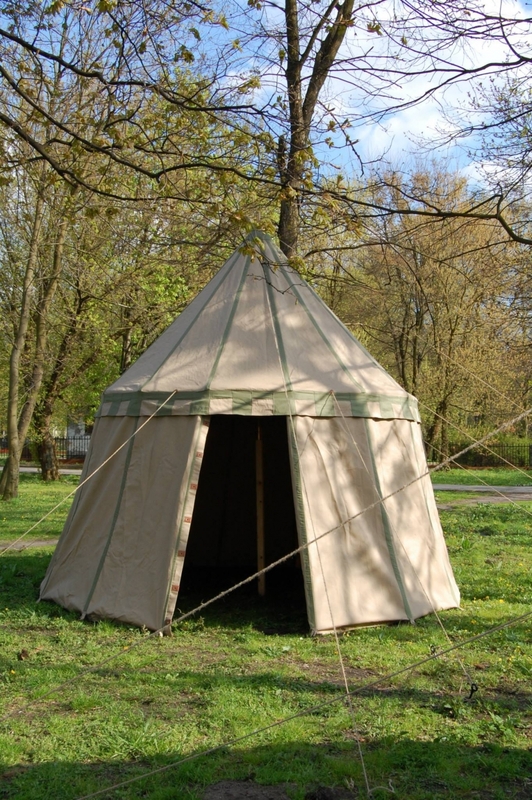 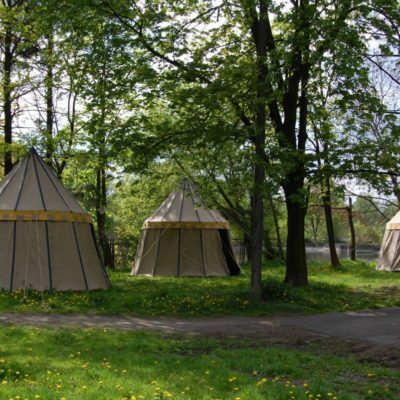 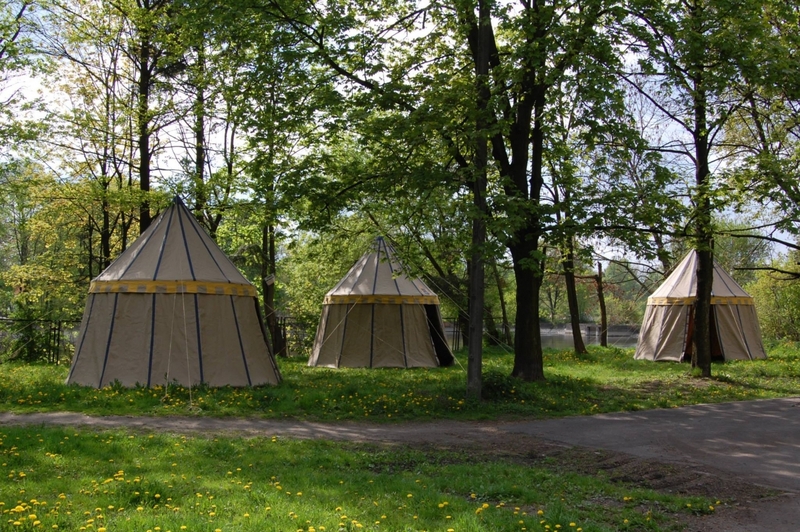 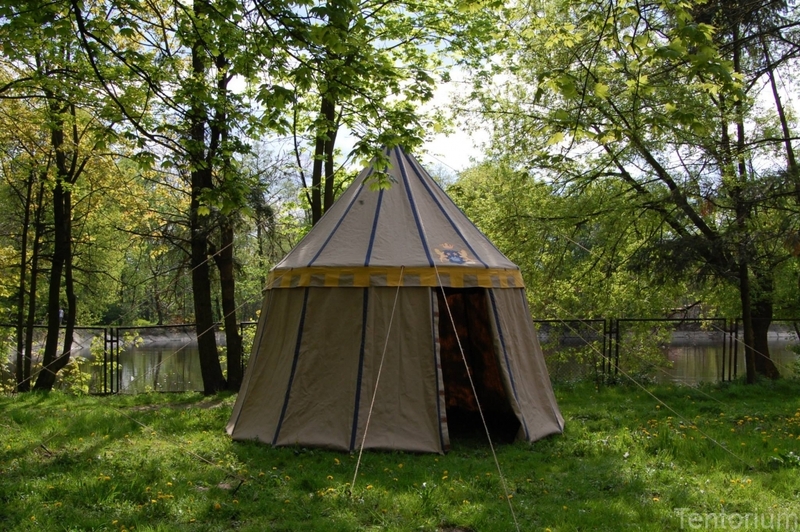 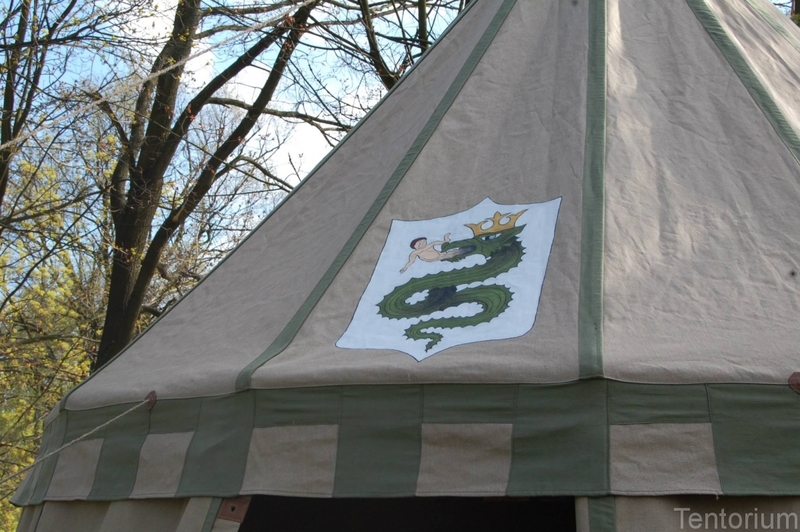 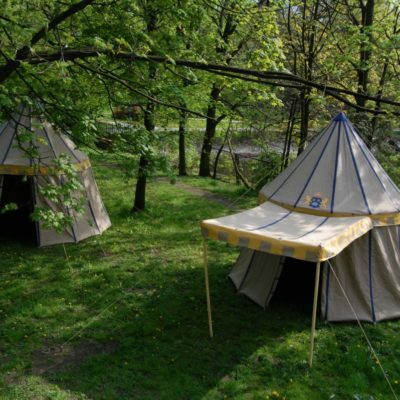 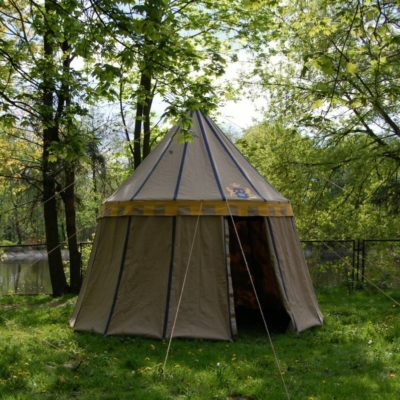 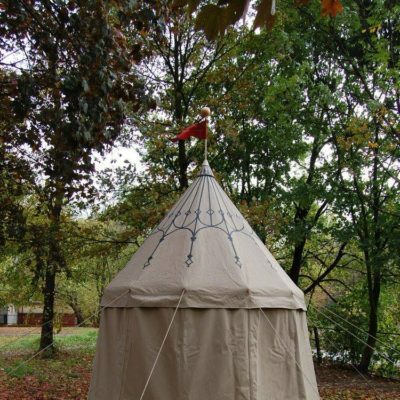 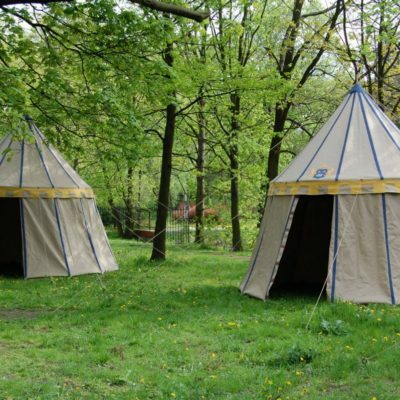 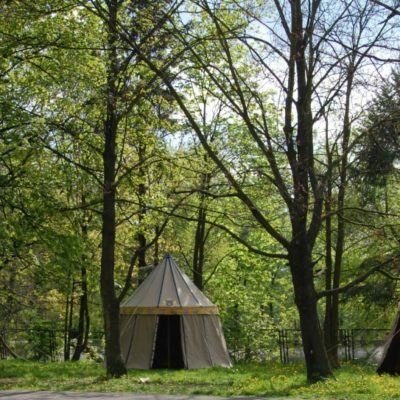 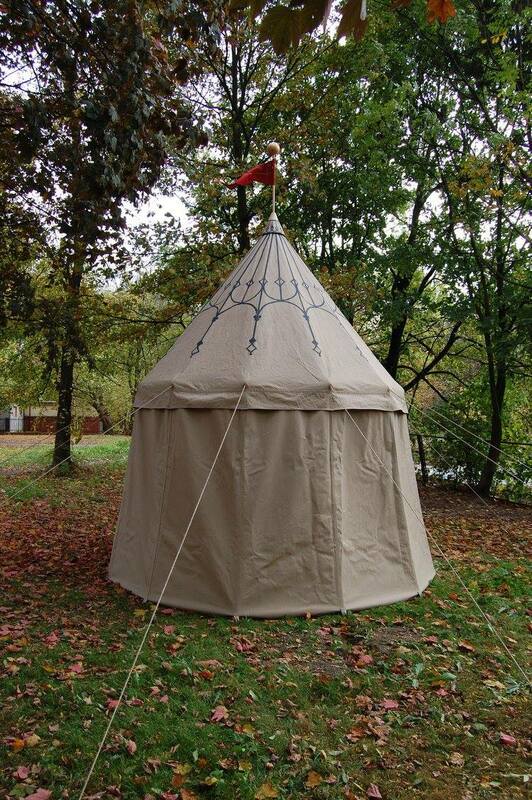 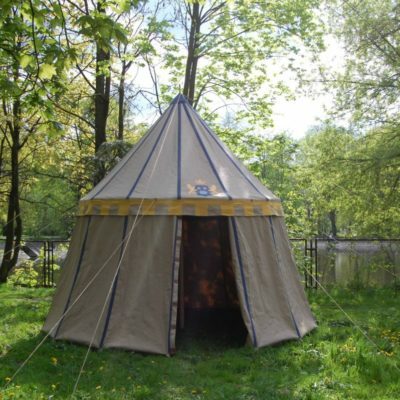 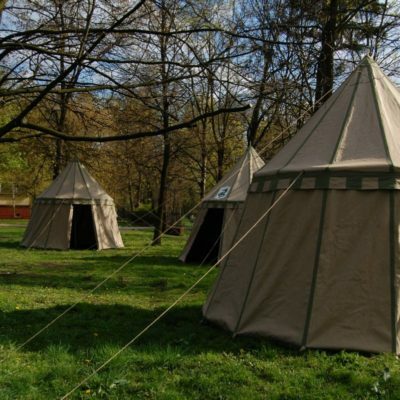 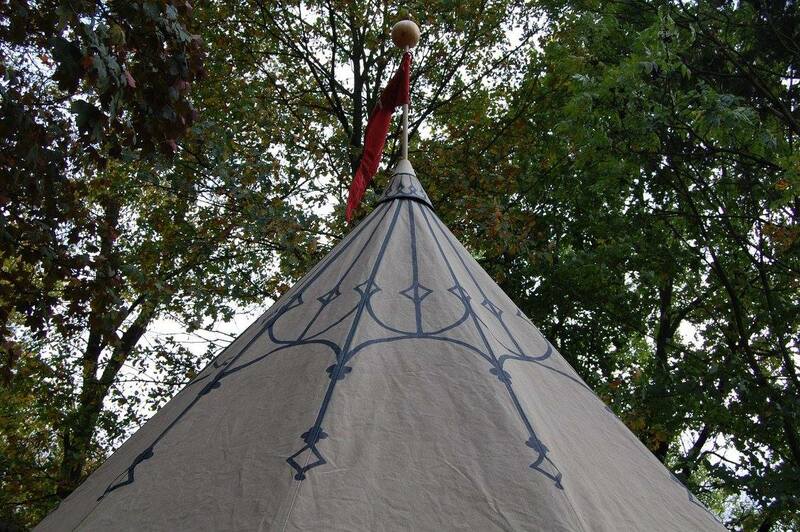 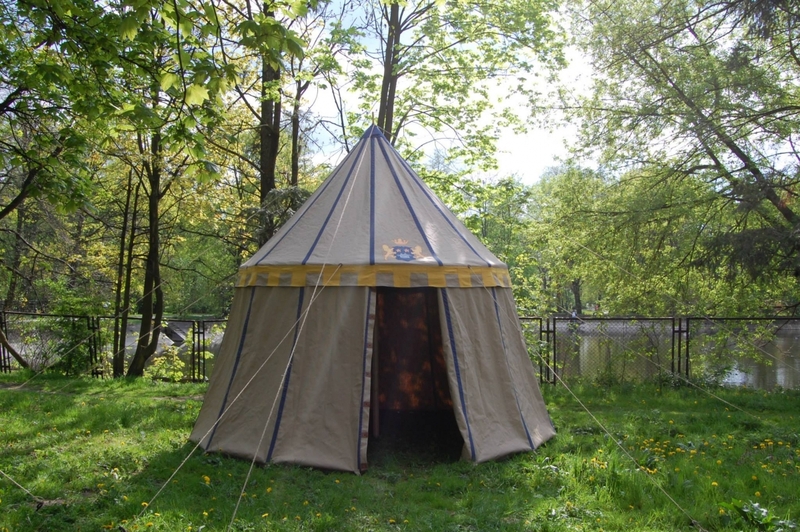 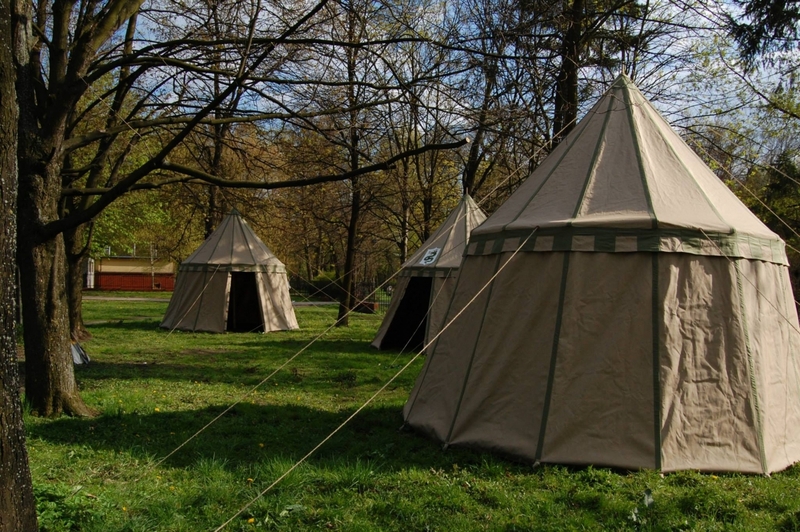 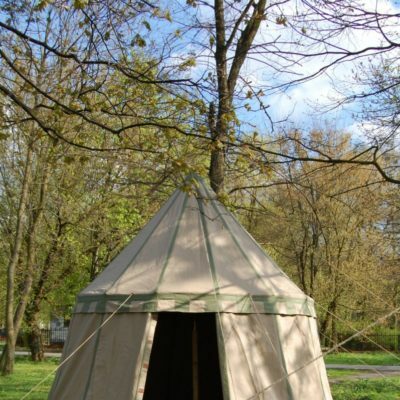 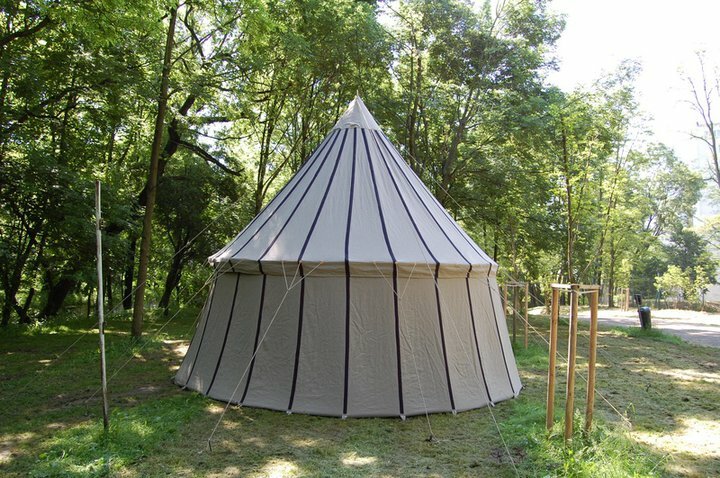 The characteristic feature of this historical tent is its big gauges and complicated masting construction. 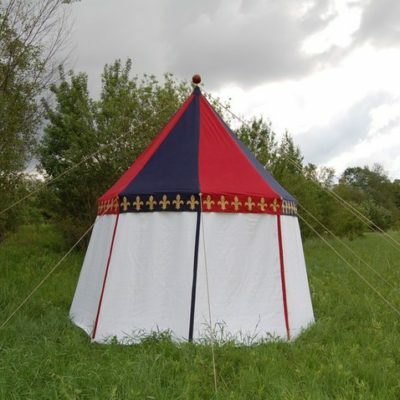 But thanks to its size it looks really impressive. 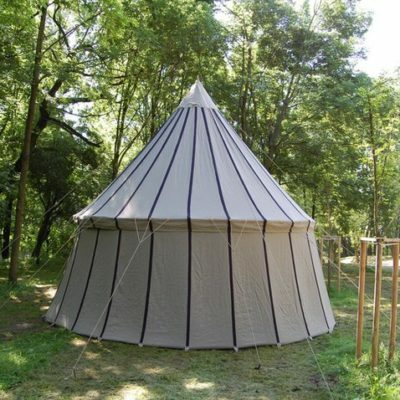 I produce pavilions with wheelarm masting or with main mast only, where whole construction is supported with ropes. 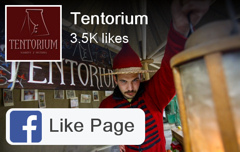 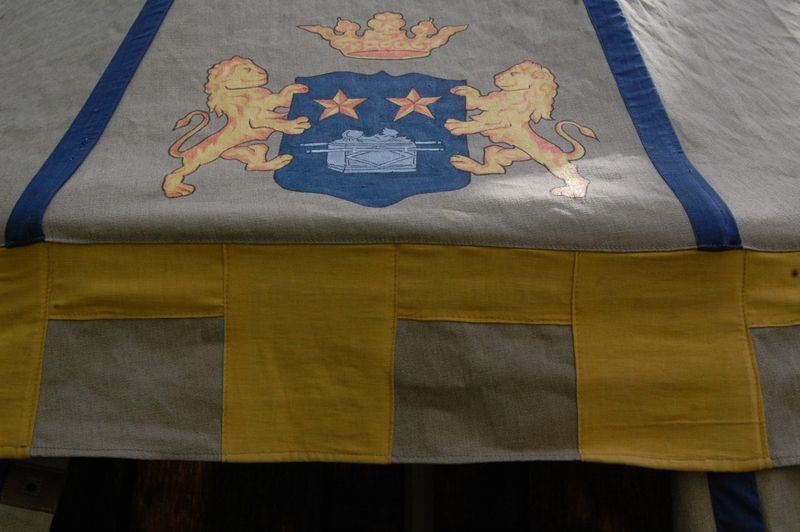 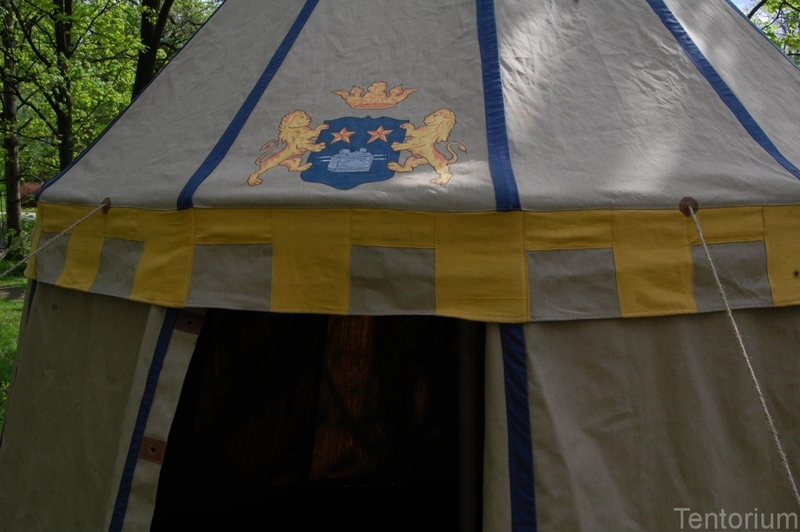 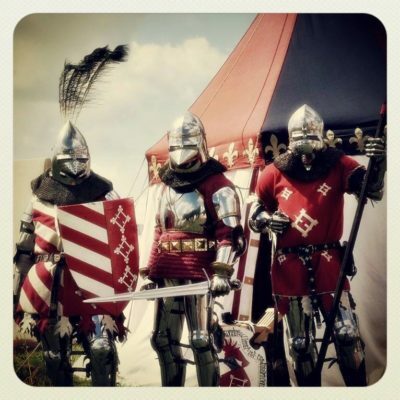 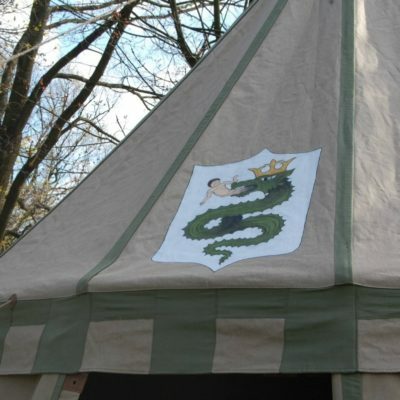 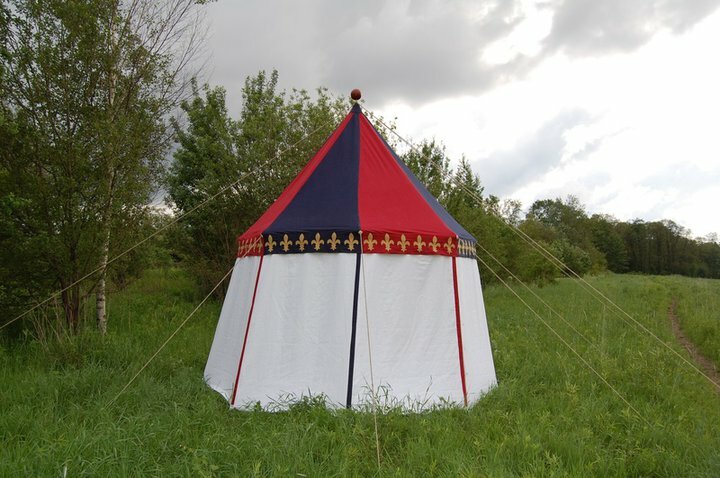 Pavilion – knight’s tent mechanically made of linen. 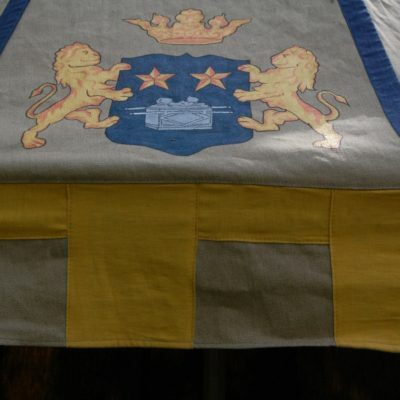 Wheelarm masting. 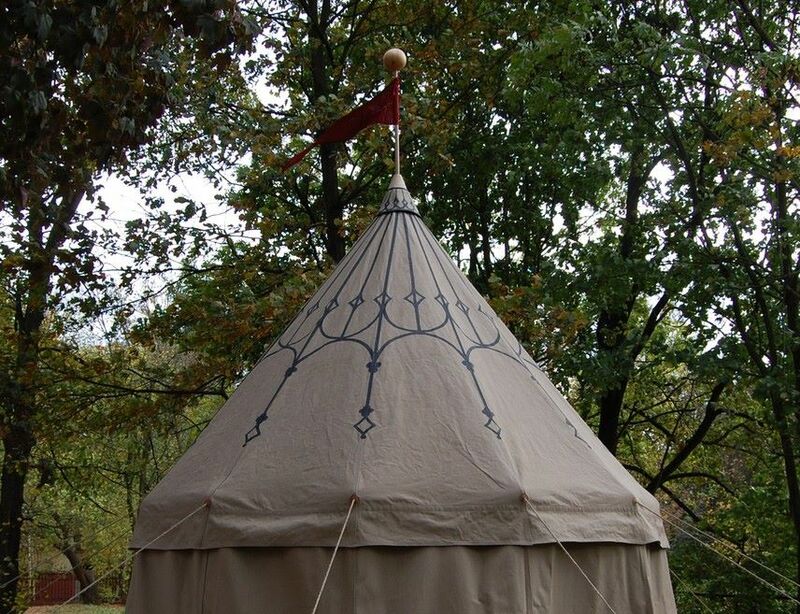 Pavilion – knight’s tent mechanically made of bleached linen. 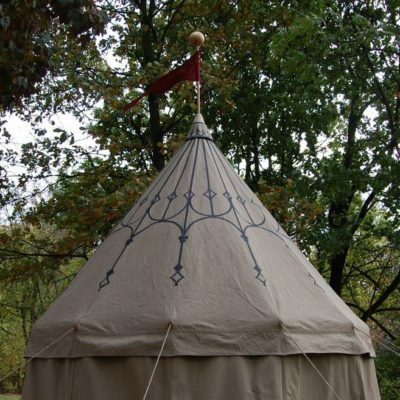 Spoke wheel masting. 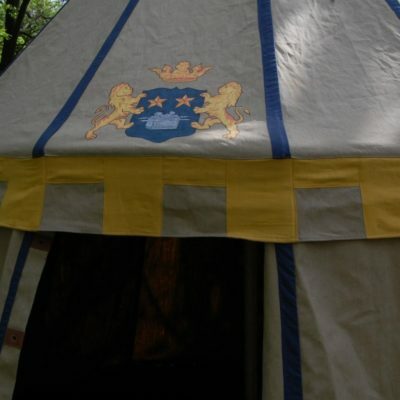 Ornamented with a motif from “Maciejewski Bible”.